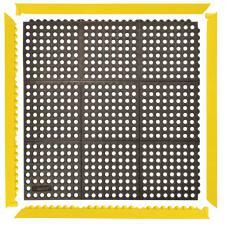 The #550 Cushion Ease Mat is a heavy duty kitchen mat intended for the busiest areas. 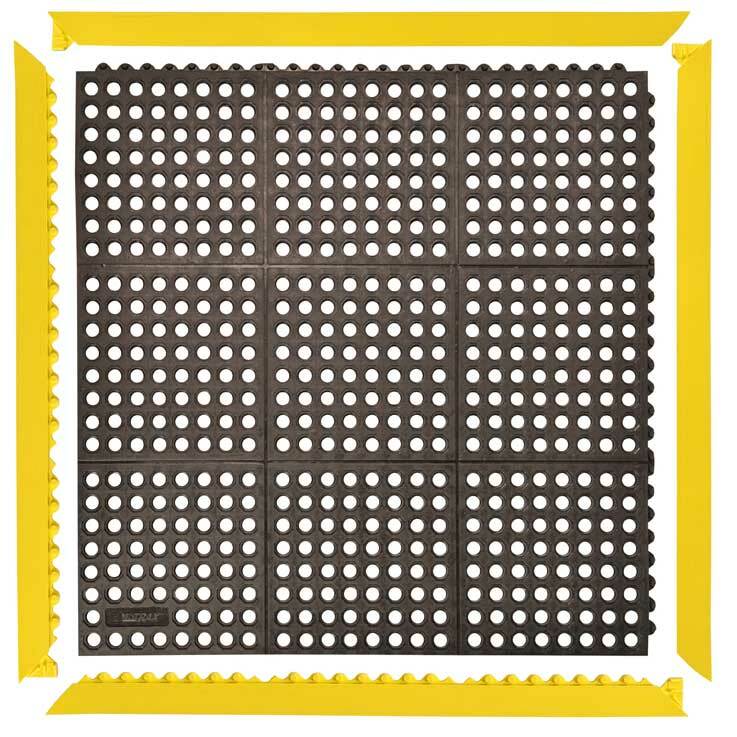 This mat comes in 3' x 3' and 3' x 5' interlocking mats and can be combined with the Cushion Ease Solid Mats to create a custom work area. 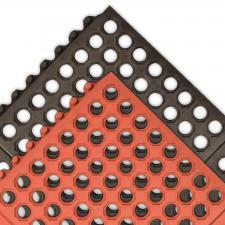 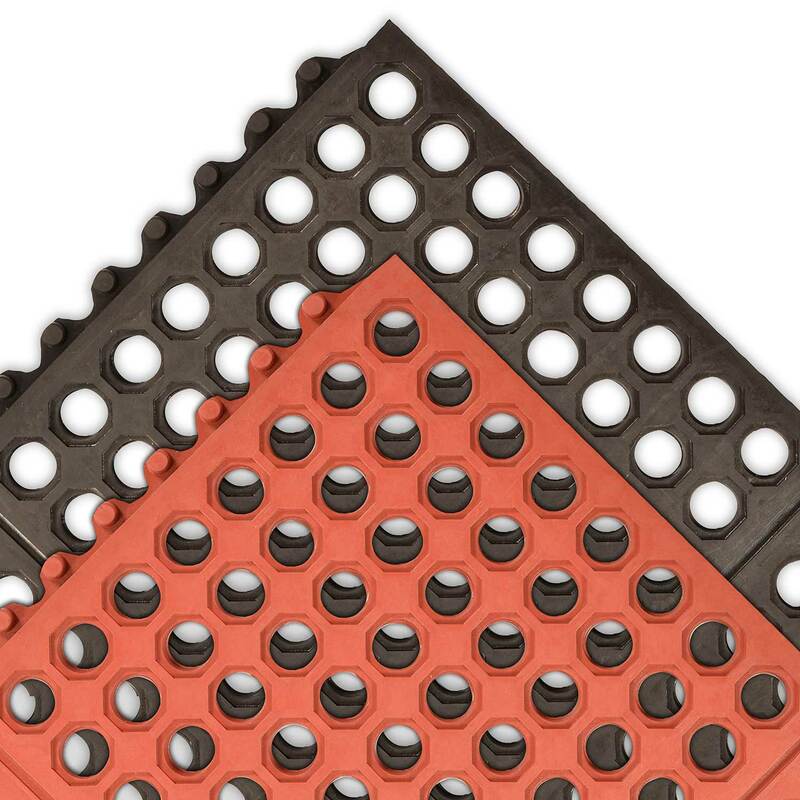 The large 1" perforations and nibbed backing on this mat allows for easy drainage. 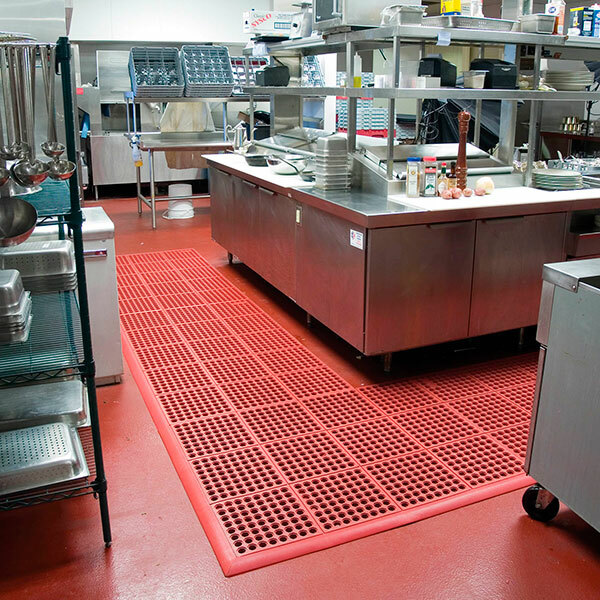 Use the Black Grease Resistant Mats for normal work stations and Red Grease Proof Mats for areas exposed to excessive oil and grease. 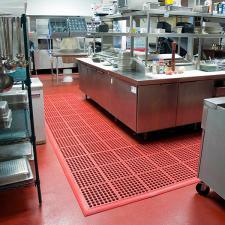 The optional MD Ramp System creates a finished colored edge to prevent tripping and allow easy access for carts. 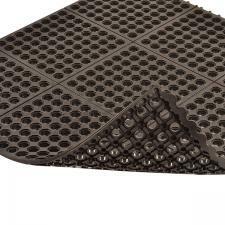 Resilient rubber compound greatly reduces fatigue and provides support to the worker. 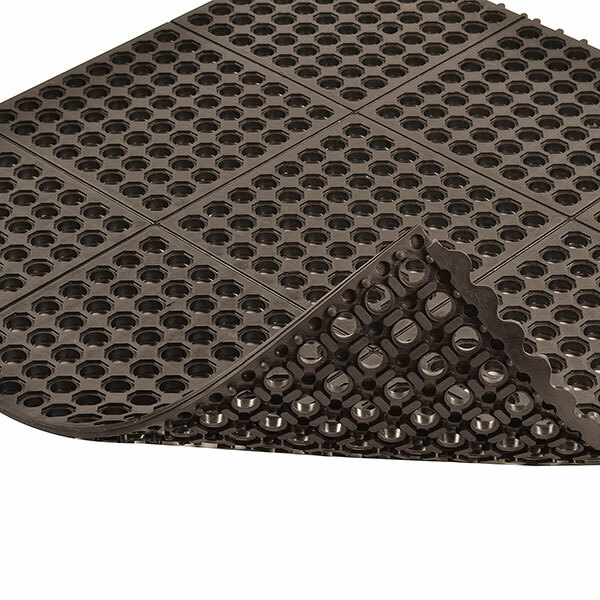 Built-in connectors make it easy to assemble; combines with Cushion-Ease Lite™ and Cushion-Ease Solid™ to customize the mat to a specific work area.